Great price business cards - Ecoprint is the easy and best way to print. Ecoprint still believes in good old customer service. We won’t be automating or building an online shopping portal to purchase print. Our success rate of printing brilliantly has everything to do with our designers and print experts looking at your print files and ensuring they will produce well. If you have any questions, we’re a phone call or an email away. Check out our great price business cards below. And if you’re wondering about our print specifications, check out our FAQ. Best price business cards with Ecoprint. Printing in Australia now has an environmental priority and Ecoprint is here to take your promotional material into the future of print. Whatever your requirements, we can work with you. We deliver your business cards Australia wide. Ecoprint can also work with you to develop your designs, to make your communication stand out from your competition. This card type looks exactly like traditional card. Bright, white and with a satin finish. This card is standard with a satin finish but you can choose an additional matt or gloss glaze. This card is fully recycled, white and uncoated. Click here to download an image of how this card looks. * This card takes a bit longer to print, please allow up to a week. This card type is brown in colour and made from part recycled materials and part FSC materials. Click here to see an example of this card. You can also print a spot white onto this card for an additional fee. Click here to see how this can look. You can also under print your spot white, then print CMYK overprint. This makes your colours on Buffalo stand out even more. Here’s an example of using this technique. Please read our Spot White FAQ to correctly setup your file. If you are considering spot white on 2 sides of your card, please enquire. 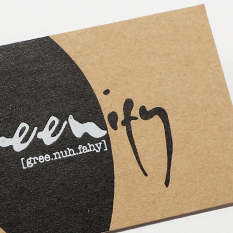 We can also print with Spot UV (A clear overlay on selected areas of your card), and also print SPOT WHITE too! Just enquire with your email. Generally, both SPOT WHITE or SPOT UV pricing for 1 side of your card will cost in addition to your card selection. 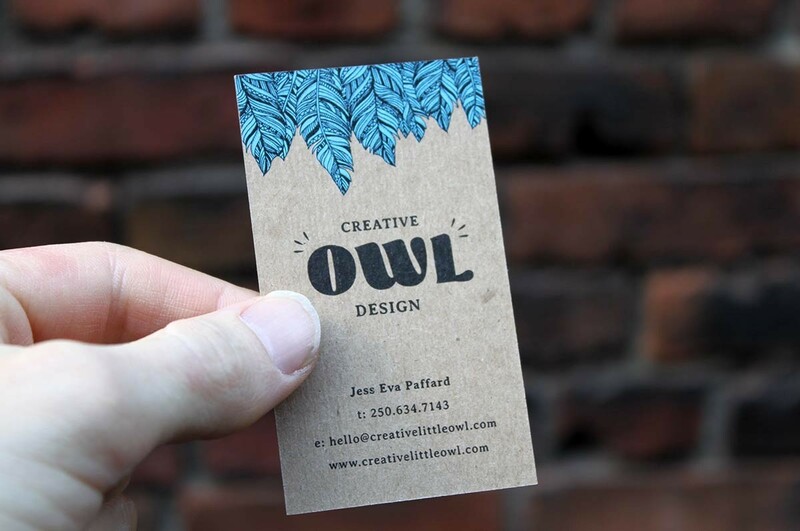 We can also produce business cards with rounded corners, or die cut shapes. Please enquire for pricing. If you require help with your print ready file, please contact Ecoprint – we can help. We can make your business card print ready from as little as $35. We can also design your cards from scratch – enquire about our graphic design. 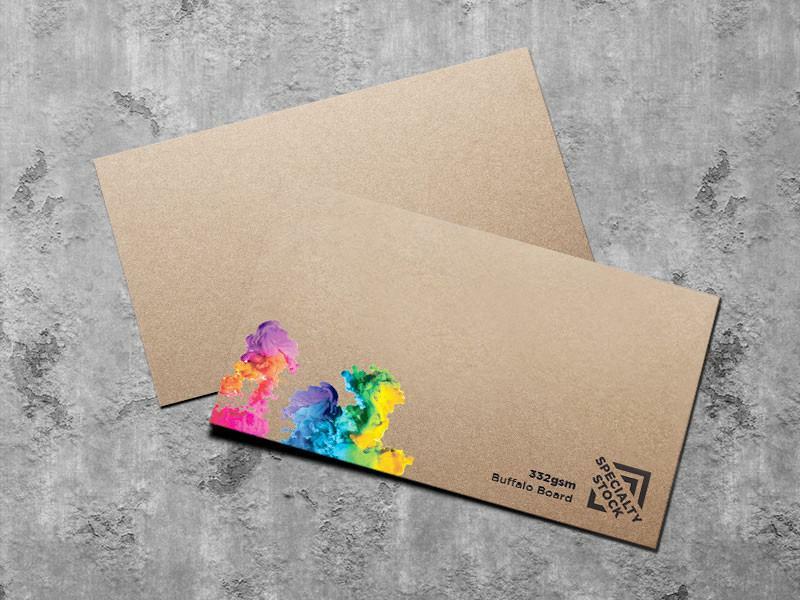 Click here to see our letterhead prices and stationery options. If your’e looking for pricing for our other print products, please just send a quick email to hello@ecoprint.com.au with your print project details. We’ll get back to you quick sticks! 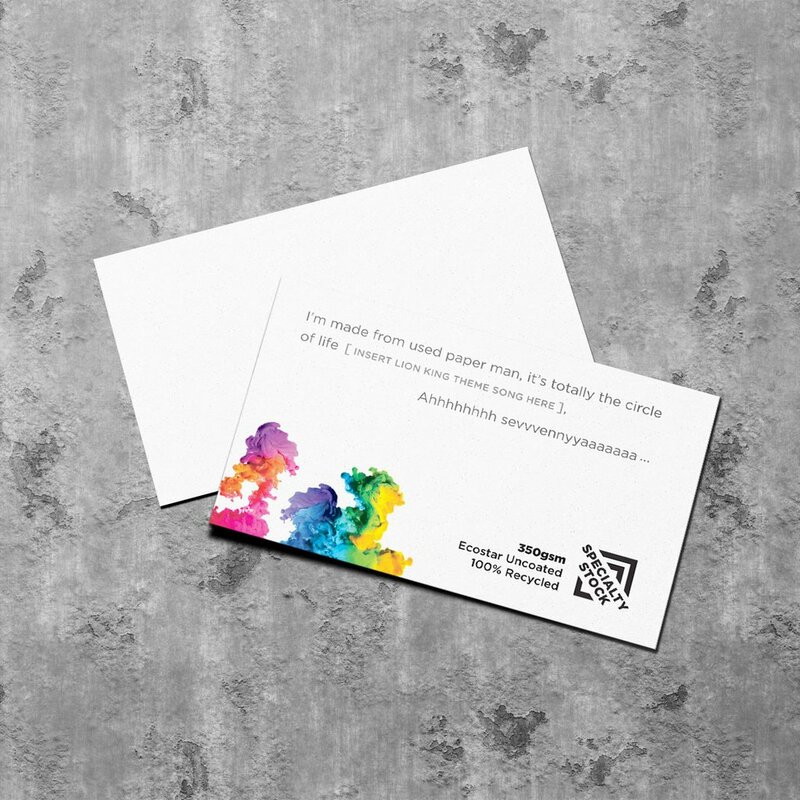 With our best price business cards, be sure to keep us in mind next time you’re looking to reprint!